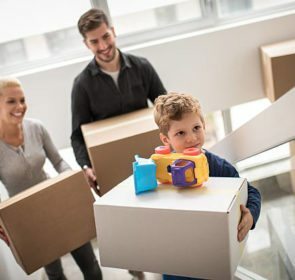 It is already stressful enough without having to worry about the large costs associated with a move. That is even more relevant if you are on a tight budget. That is why we have compiled a few ways to achieve a cheap removal. Looking at these price determinants, we can identify a few areas where you can save money. Lowering the volume of items, timing your move smartly, and forgoing certain services means you have a cheap removal. The table below shows the average costs of moving a 3-bedroom home 50 kilometres. 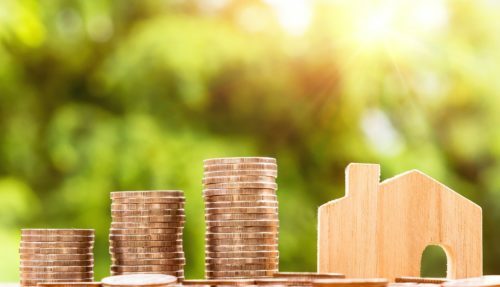 With all the costs involved with moving house—estate agent fees, conveyance fees, and deposits, to name a few—you are probably looking for ways to save as much money as possible. One way to lower costs is to find the right removal company. With our quote request form, you’ll receive 6 price offers, saving up to save up to 40%. The form takes only 1 minute and is non-binding, and you can mull over your options at your own pace. Rather than buying packing supplies from the removal companies, there are other places to find these materials at cheaper prices or even at no cost at all!Ask your neighbours, friends, family, or workplace for boxes that they do not need, or go to your local shop or supermarket. For packing paper, use recyclable materials such as newspapers or even some linens and clothing. Check sites like Freecycle; someone could be looking to get rid of a few boxes. 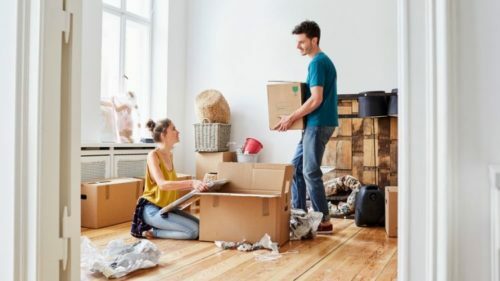 If your moving date does not perfectly match up with your bill cycle, you may be better off cutting your service early. It might be tough to live a few days without what is important—yes, even wifi!—but you will save money by avoiding an extra month of utilities that you will not use. Use this opportunity to find new energy suppliers. Just because you’re moving to a new place, it does not mean you should stay with your current utility providers. Shop around and research various providers to see if there are better deals available. Make sure to inform the necessary people of your address change on time. This includes registering at the local authority of your new area to pay council tax, as well as your energy providers. Additionally, register to vote as this will improve your credit score. It is a good idea to redirect your mail so that you will not miss any bills. If you think you will be able to avoid these payments, you will only cause trouble and a large lump sum for yourself later on. 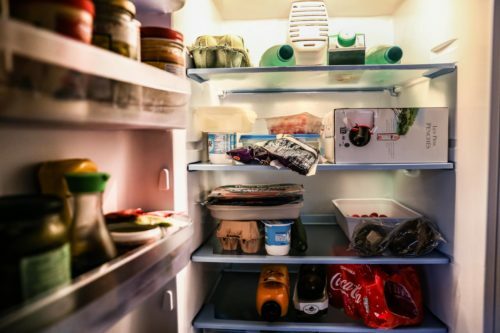 If you have a fridge and freezer full of food, make sure to consume it. Begin planning meals early on so that you will not have to throw any out before or during your moving day. In situations where you are moving due to work, check with your employer to see if they offer relocation assistance. 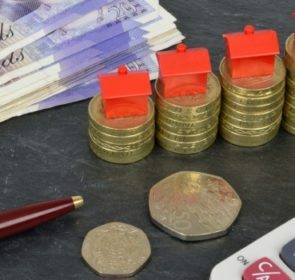 This could be anything from extra time off to finish moving to your new house to paying up to a certain amount to offset your moving costs. Even if you don’t feel you have the best bargaining skills, but it never hurts to try negotiating prices. Estate agent, conveyors, surveyors, and even removal companies—identify opportunities to save, negotiate their fees, and you might get a significant discount. Remember, your frugal efforts should not stop once you complete your move! The period immediately following your move can be characterised by heavy spending. 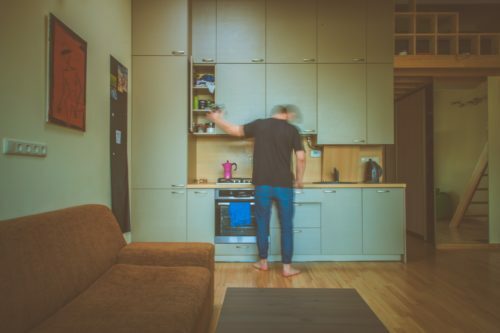 Cleaning the house, filling your fridge and pantry, or buying new furniture and appliances, plus other innumerable purchases —all of these expenses can add up. Resist the temptation to splurge and instead, find creative ways to save and find inexpensive solutions. Look for cheap, vintage dining table which, with a quick coat of paint, would perfectly suit your new home! Or perhaps, you could try making homemade cleaning supplies; this is less expensive than buying products and is much more environmentally friendly.